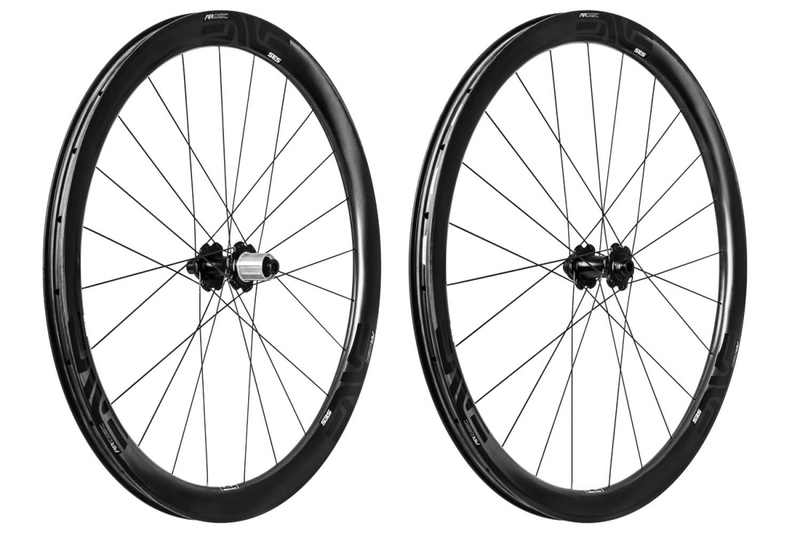 In 2016, ENVE launched the SES 4.5 AR, a tubeless only wheelset optimized around high volume 28-32mm tires. 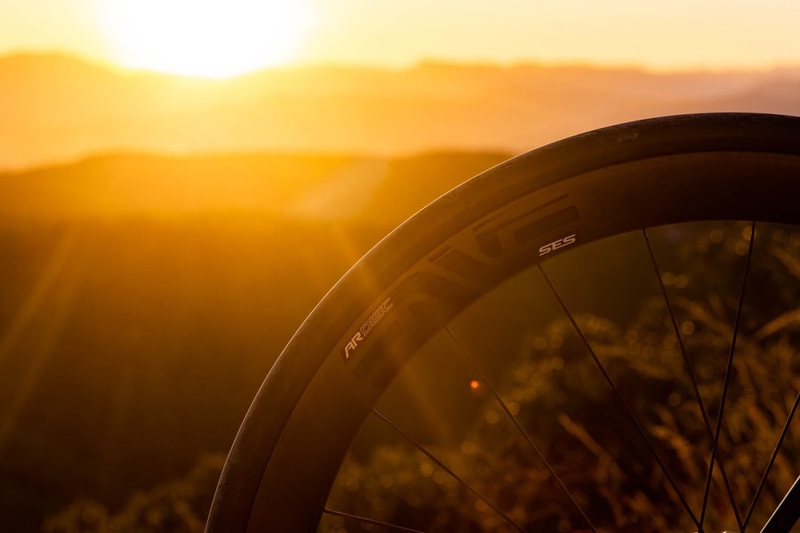 Today, ENVE has expanded the SES AR lineup to include the new SES 3.4 AR, which aims to expand on the original’s feature set, by offering aerodynamic efficiency, ride feel, durability and weight, while being optimized for 28-32mm tires. ENVE is offering the SES 3.4 AR as a rim set or complete wheelsets built with either an ENVE Disc or Chris King R45 hub set. 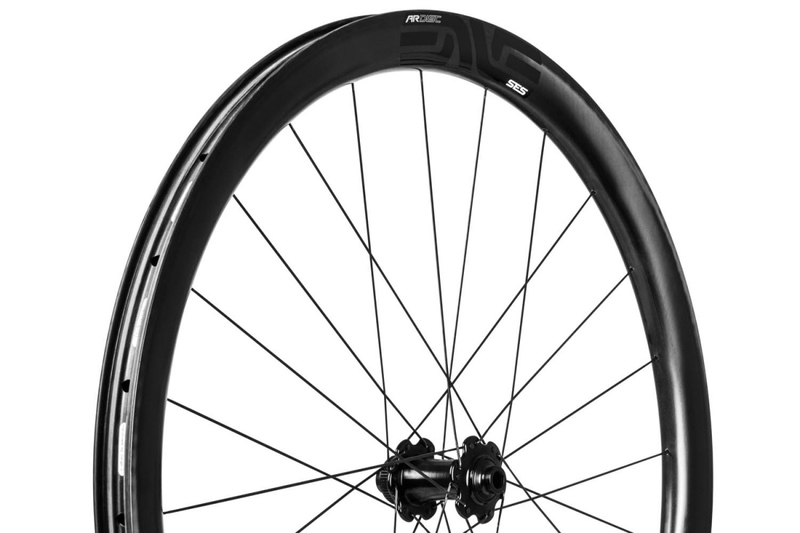 The SES 3.4 AR starts at a complete wheelset price of $2550. ENVE says the new wheels also deliver improved rolling resistance, and they have a wide hookless bead with anti-pinch flat technology. Materials and construction are designed for use with disc brakes, and the 25mm internal rim width is road tubeless optimized. 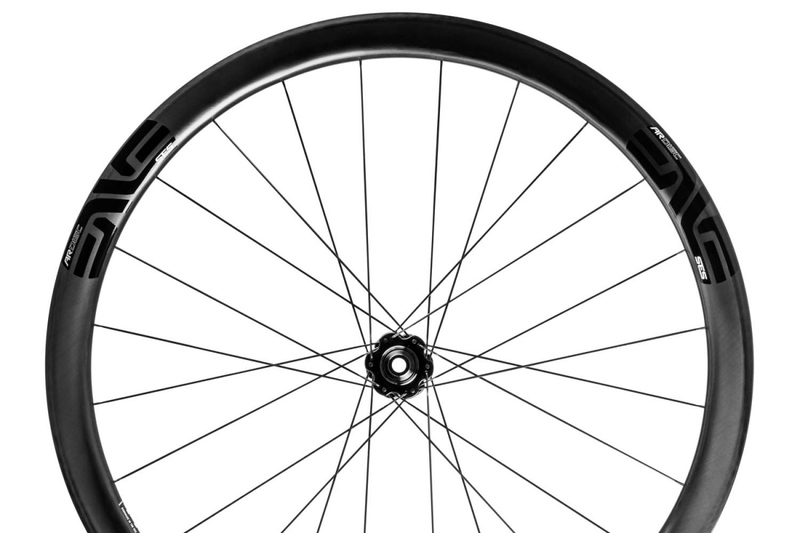 The SES 3.4 AR, like all SES rims features asymmetric rim geometries between the front and rear rims which aim to maximize aerodynamic performance for the airflow unique to the front and back of the bicycle. In this case, the front rim measures in at a depth of 39mm with an external width of 31.2mm, while the rear comes in at 43mm deep and 30.5mm wide. The internal rim width of both the front and rear rims comes in at 25mm. The width of the SES AR family when compared to a modern but traditional aero road wheel is the result of an aerodynamic development project to optimize drag reduction and stability for high-volume performance oriented tubeless road tires. It has taken a few years for frame manufacturers to produce the bikes with tire clearances required to accommodate these wheels, but the bikes are here now, and the SES 4.5 AR has become ENVE’s most popular wheelset in the North American market. 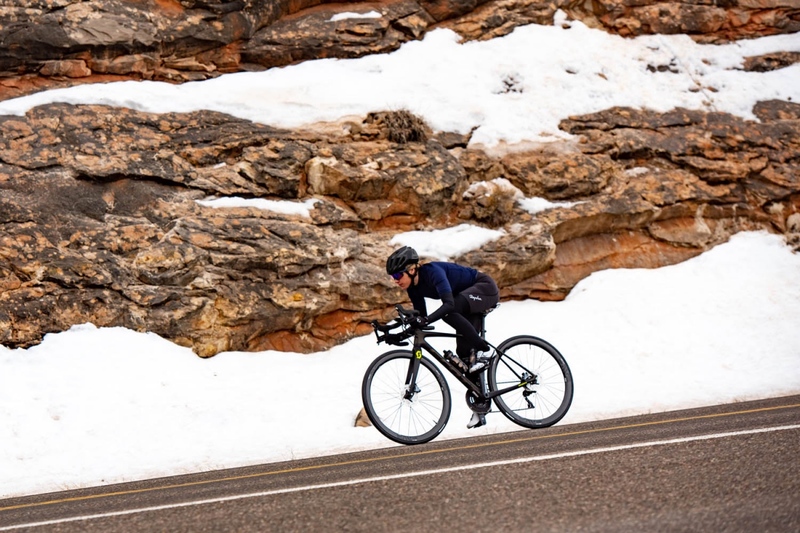 ENVE is touting the new SES 3.4 AR as the most versatile road wheel in their lineup given its lightweight full carbon construction, and ability to achieve aerodynamic performance with 28mm tires. However, a unique feature that certainly gives a nod to the new wheel’s versatility is the inclusion of a technology ENVE introduced initially on their M Series mountain line, and later included on the new G Series gravel wheels called Wide Hookless Bead Technology. The purpose of the patent pending Wide Hookless Bead is to aid in the prevention of pinch flatting your tubeless road tires. 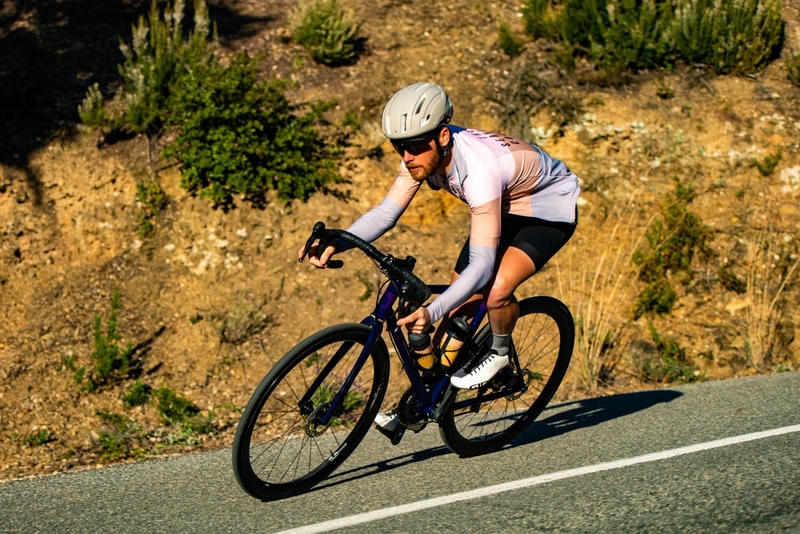 While the likelihood of pinch flatting on a typical road ride is rare, ENVE expects their customers will look to the SES 3.4 AR for a one wheel quiver to ride on the road and at mixed surface events like the Belgian Waffle Ride, which features roughly 40 miles of dirt road and trail where hard pinch flat inducing impacts are likely. To learn more roll over to www.enve.com.